Contamination of drinking water takes many forms. Particulate matter, dissolved chemicals and harmful bacteria are among the most common causes of poor drinking water quality. It is of vital importance that manufacturer’s claims on the effectiveness of their products at removing these contaminants, are fully supported by proven test data. 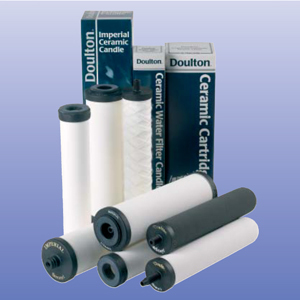 Fairey Industrial Ceramics places great emphasis on this aspect of product quality and has a programme of regular testing of its water filter products. Specially designed in-house test rigs are capable of measuring specific aspects of filter performance over prolonged periods.